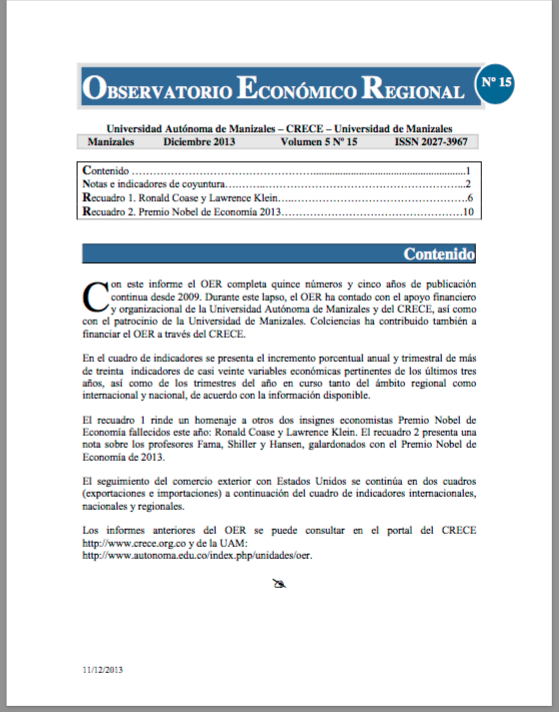 The purpose of the OER is to contribute to improving the quality and timeliness of the economic information. 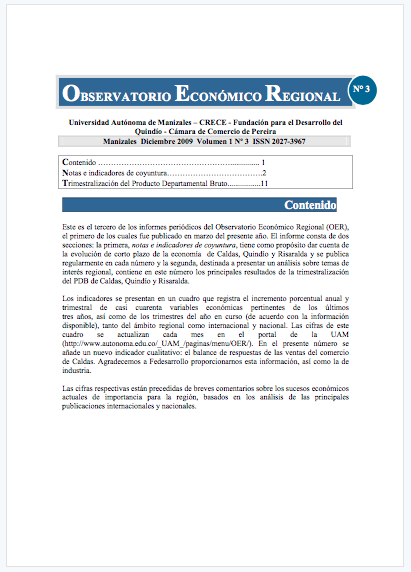 This information is necessary for the decision-making and the design of strategies of governments and regional private companies in a complex global environment. 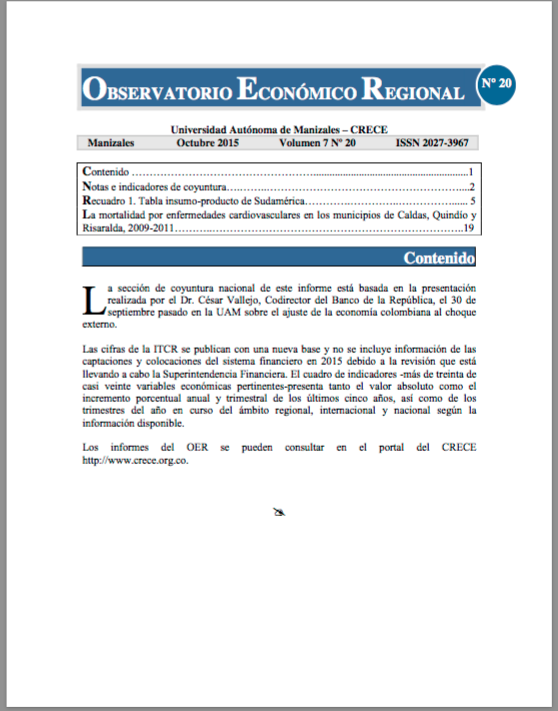 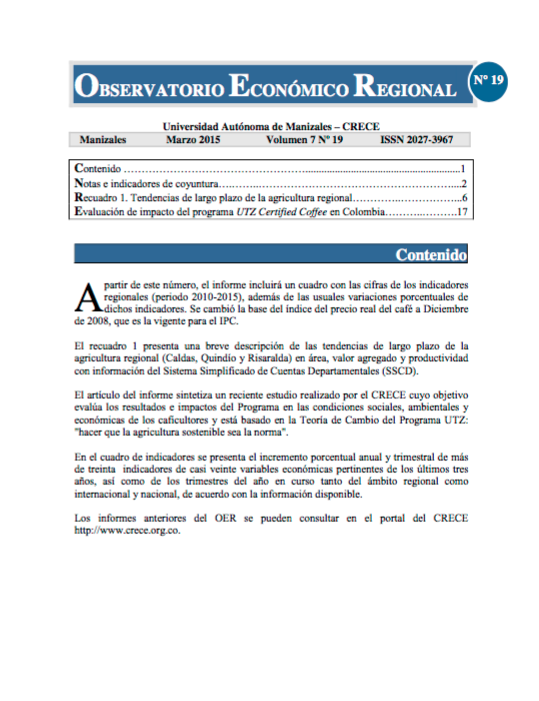 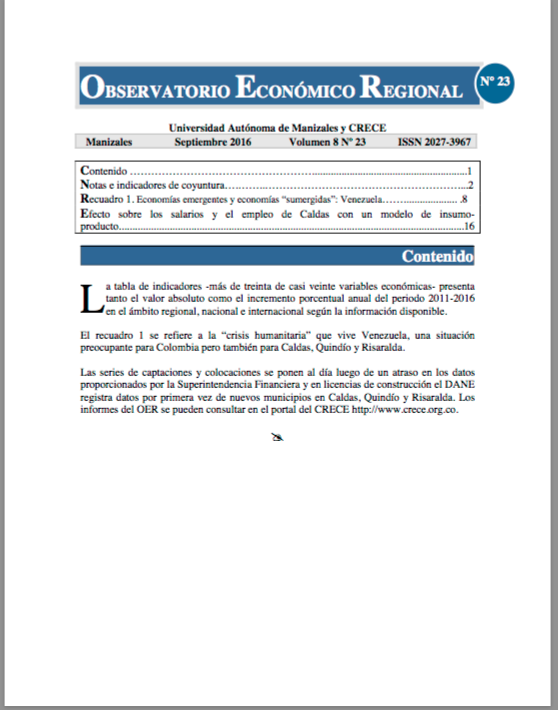 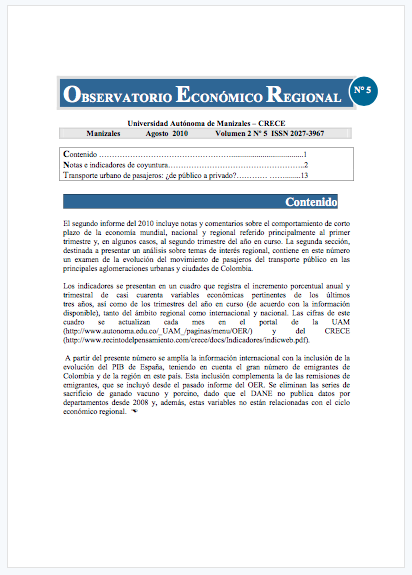 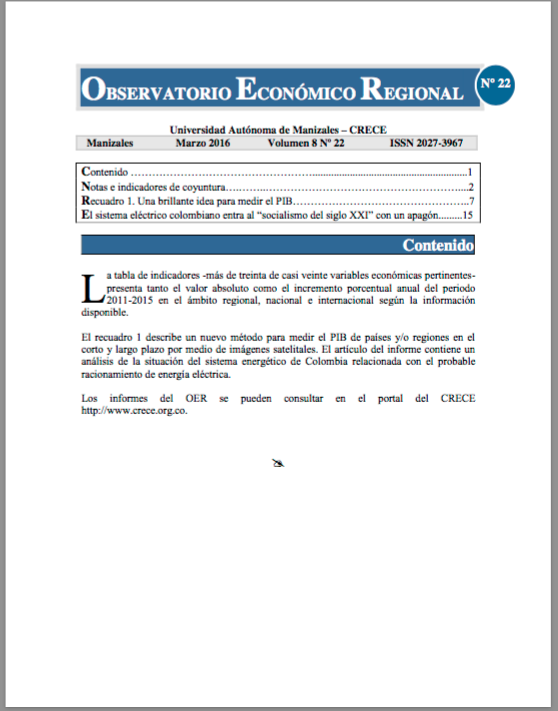 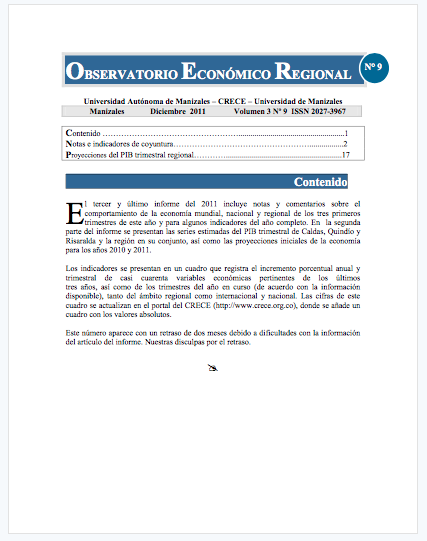 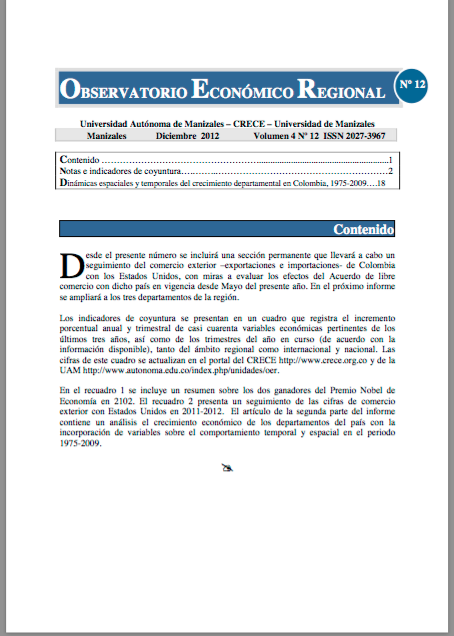 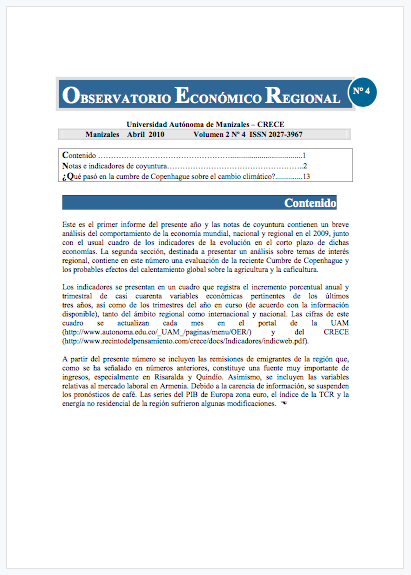 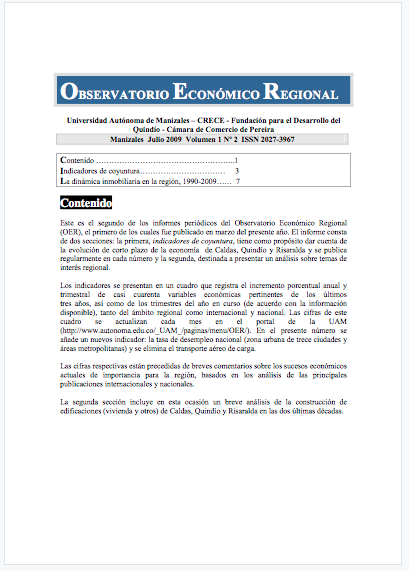 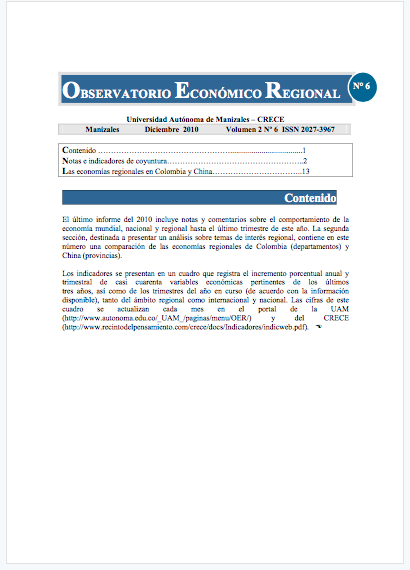 For this purpose, the OER will monitor and analyze the behavior of the main economic variables of Caldas, Quindío and Risaralda; prepare short-term growth forecasts for the regional economy; and provide complementary information through the collection, processing and dissemination of relevant international, national and regional information. 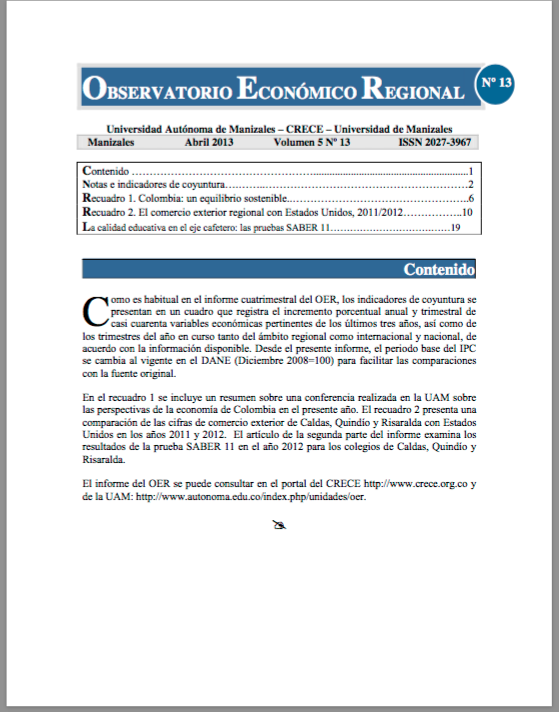 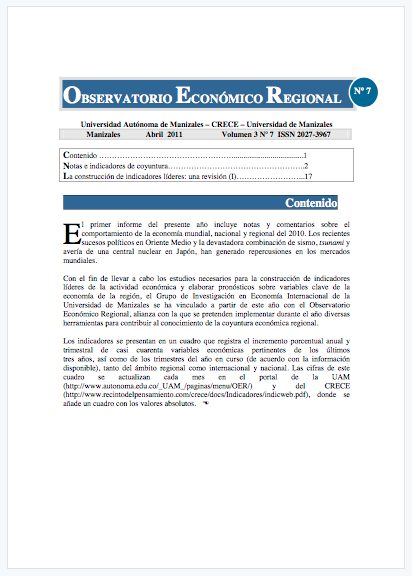 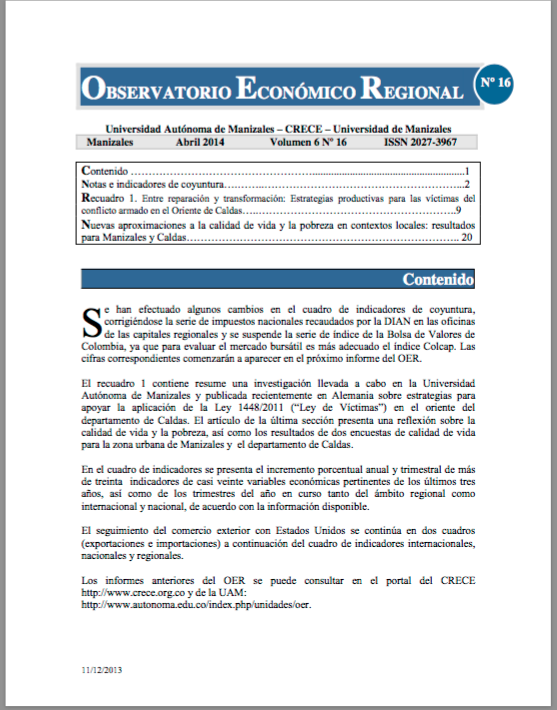 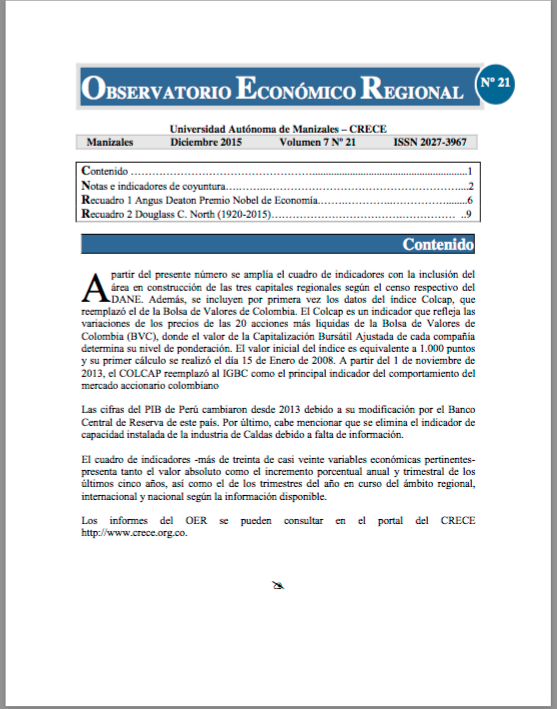 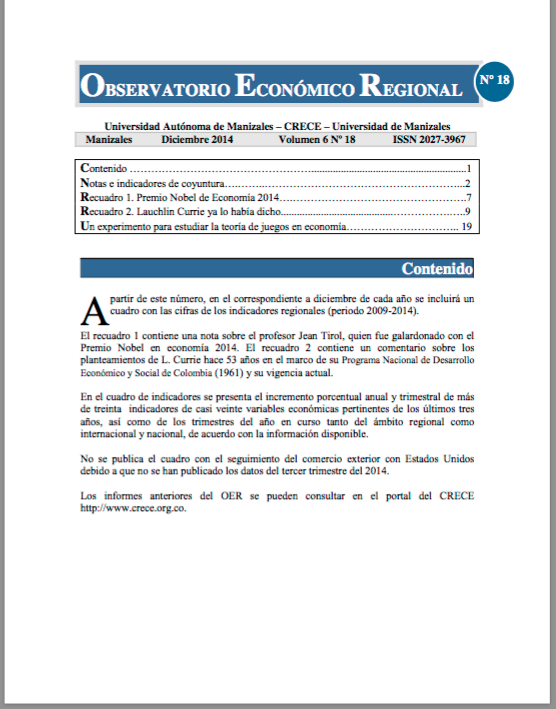 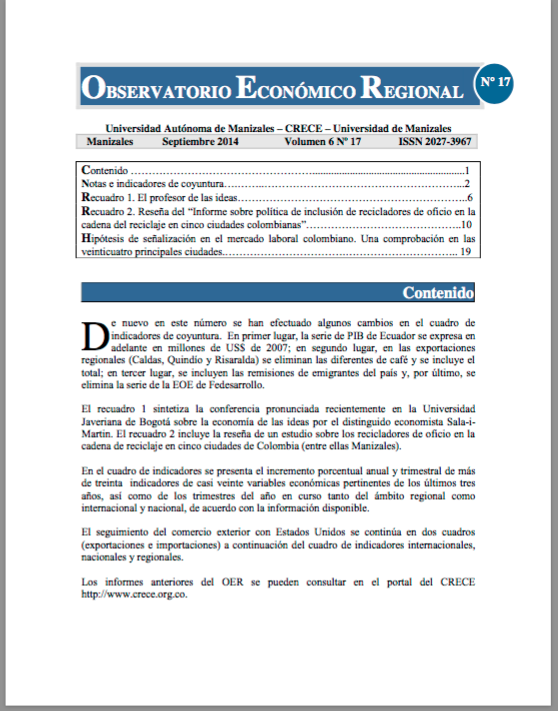 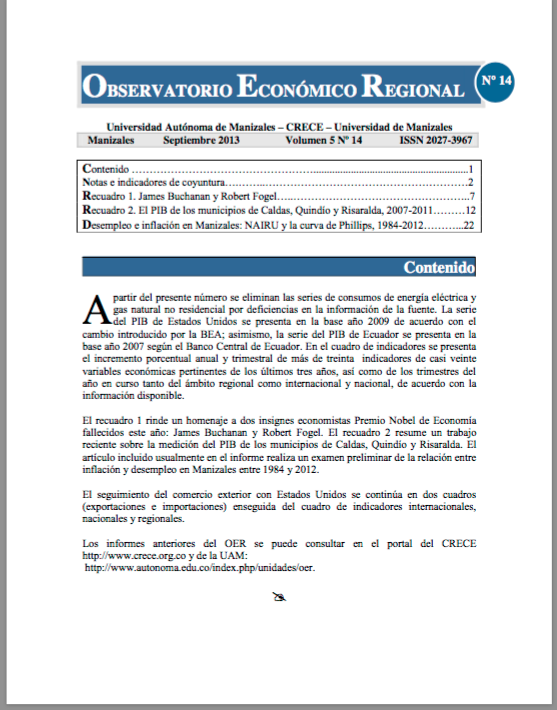 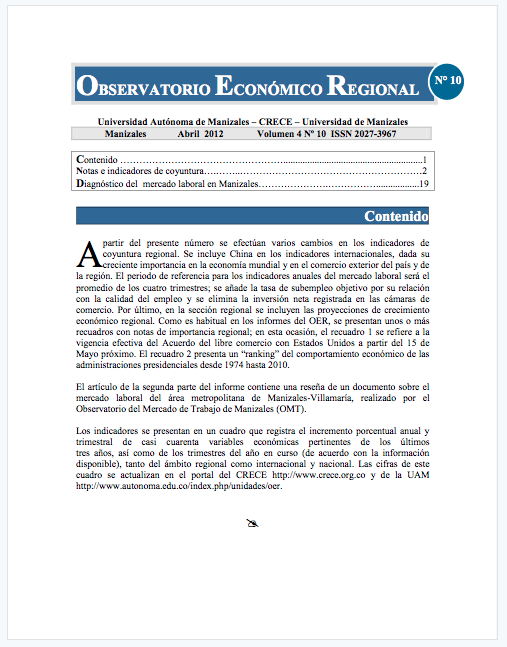 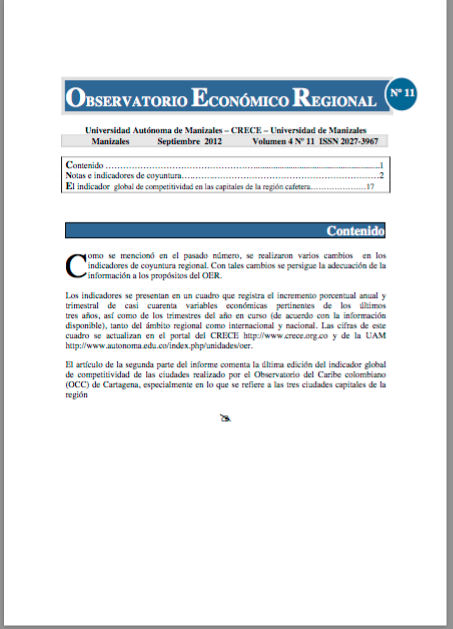 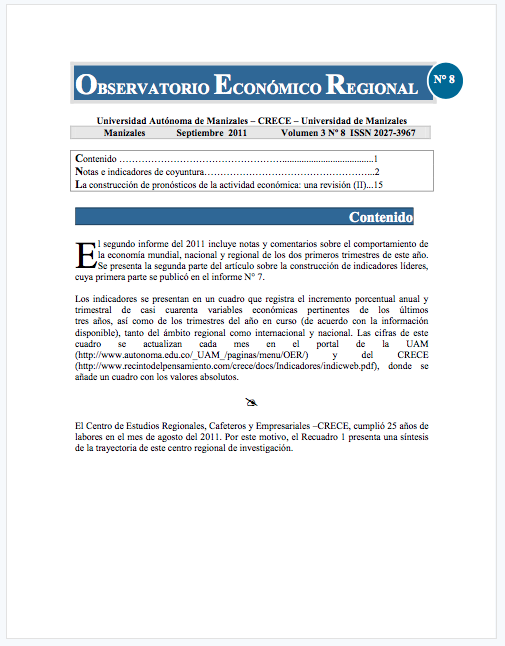 The OER is prepared and published by CRECE, the Autonomous University of Manizales (UAM) and the University of Manizales.